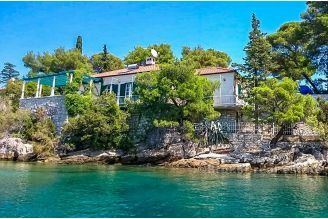 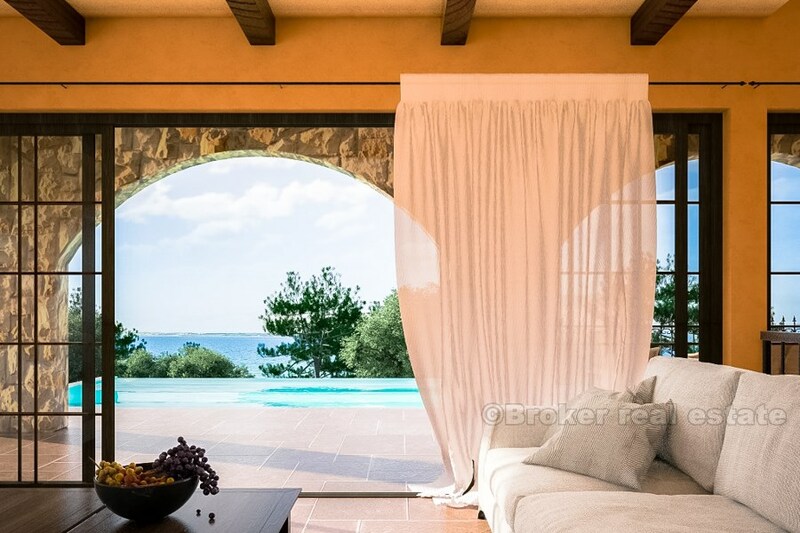 Extraordinary family villa with infinity pool and sea views, at nice location near Rogoznica, only 50 meters from the sea and beach. 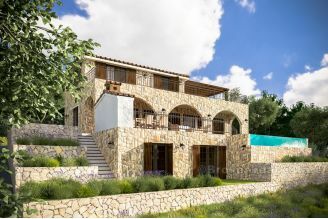 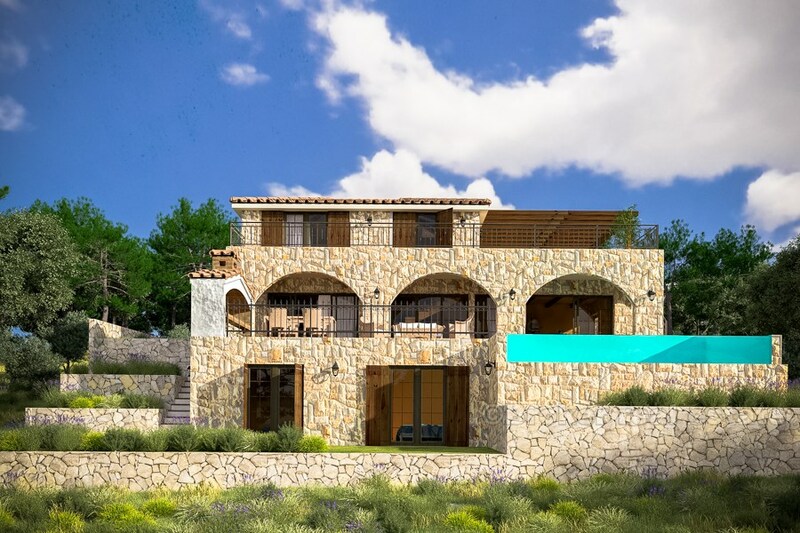 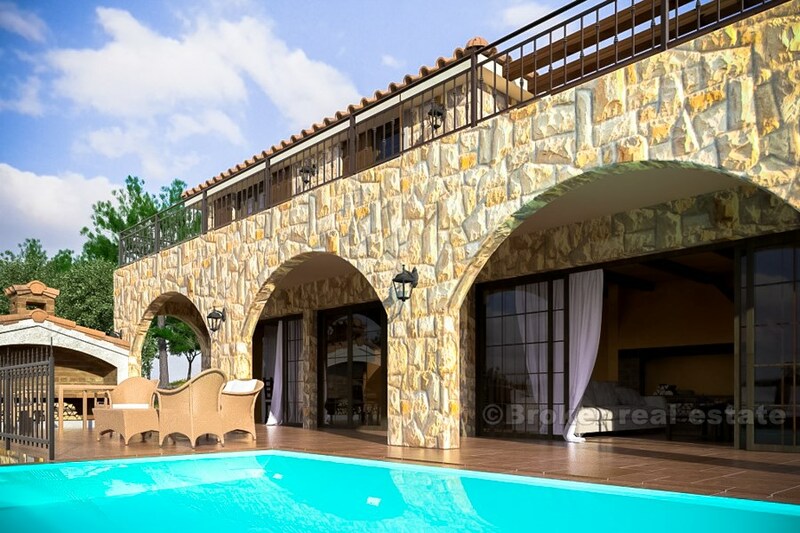 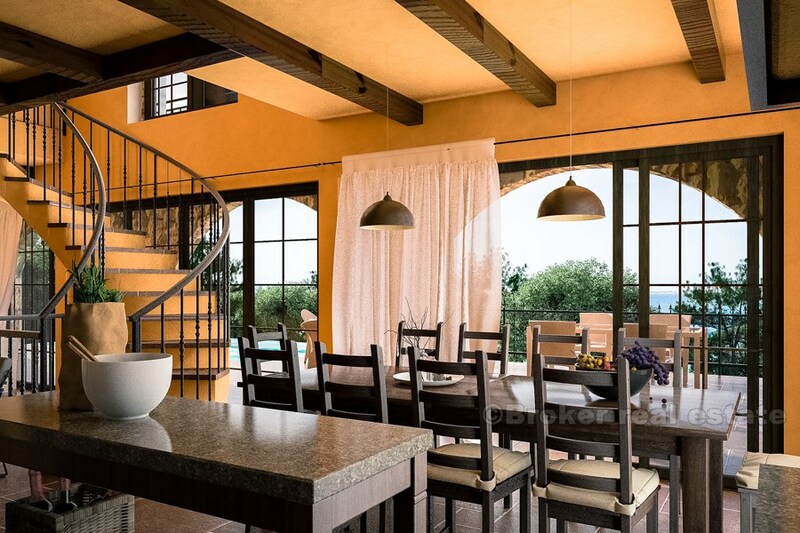 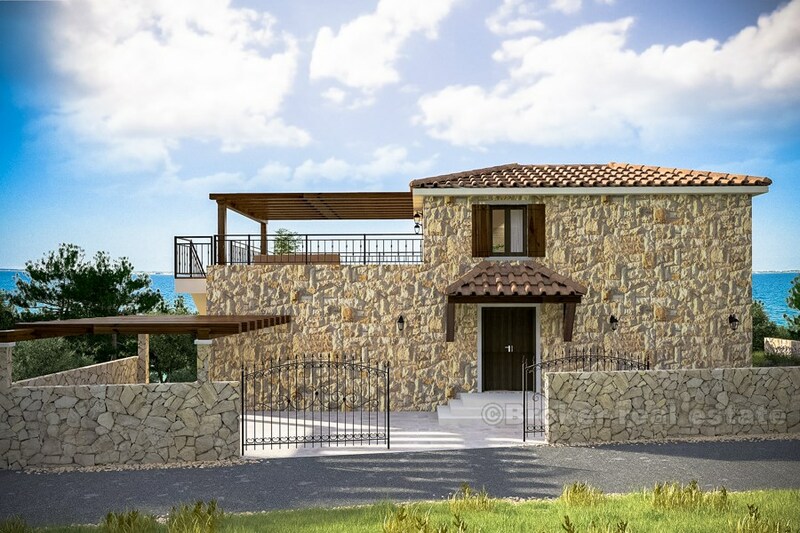 Villa is made in modern traditional way, full of natural stone, steel fences, wooden pergolas, garden completely landscaped with palm, olive tree, orange and lemon trees. 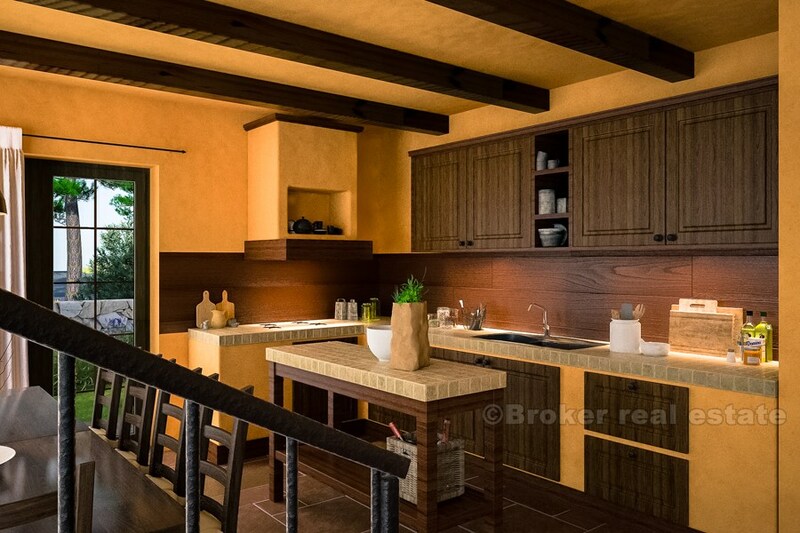 Design of interior is also in traditional Dalmatian style, but by request of a new owner, at this phase of building, some things could be exchanged. 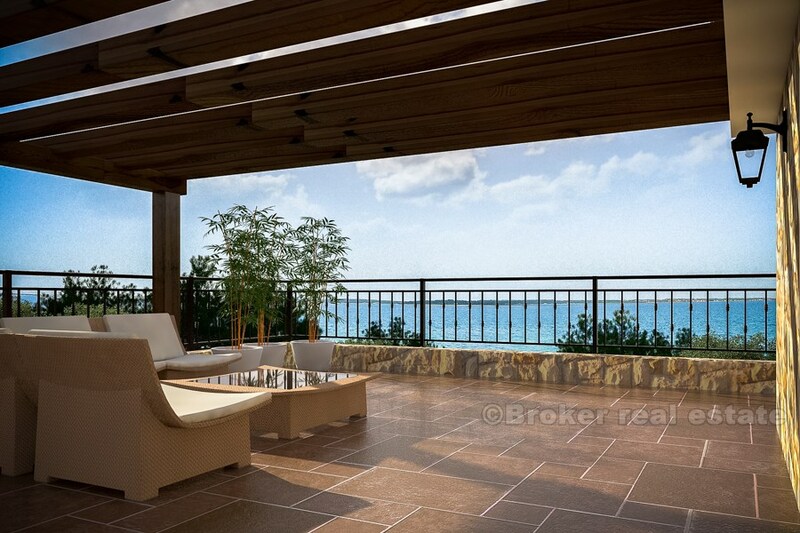 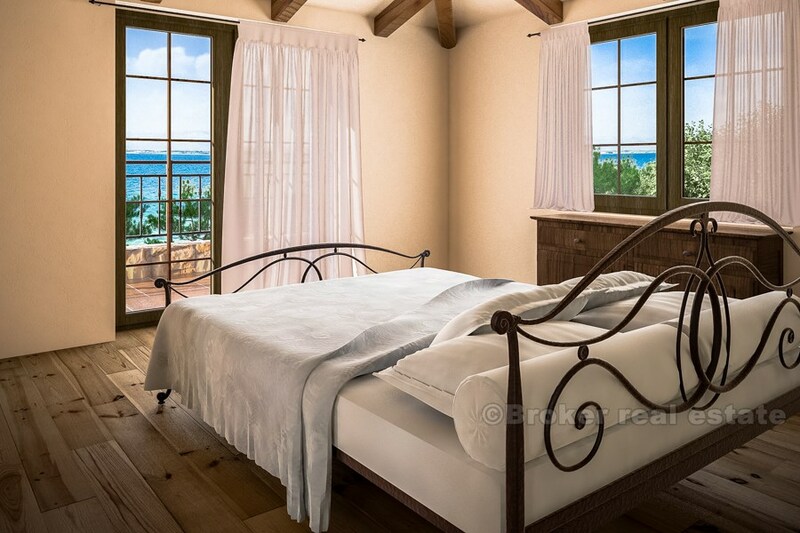 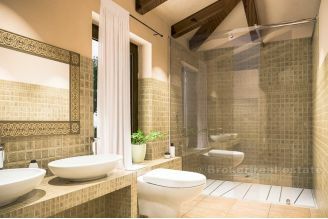 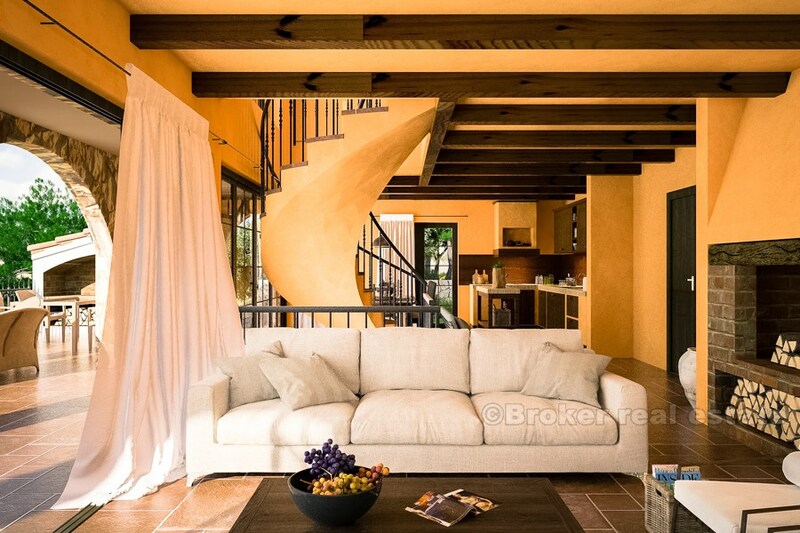 Price of the villa includes completely furnishing. 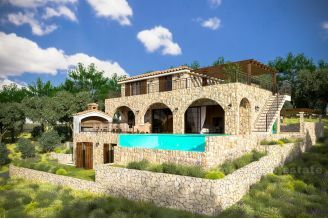 Villa is size of 206m2, on a plot of 699m2. By opening main door of the villa, you are entering into living/dining room with a view of the top floor, where leads large curved stairs. 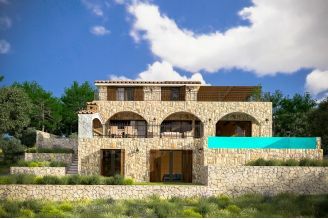 Ground floor also consist of kitchen, two bedrooms, two bathrooms, storage room and a large terrace with infinity swimming pool. On the upper floor there is master bedroom with bathroom, and a big terrace from which by stairs you can go to garden and pool. Villa has parking places for 2 cars at the entrance of the property. 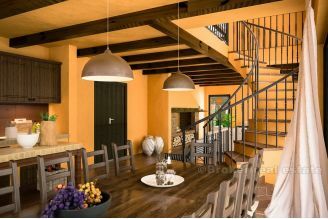 All furniture and wooden elements by special specifications are handcrafted and fitted by qualified carpenter. 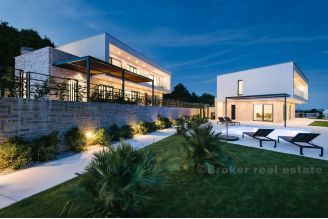 The villa is built by quality Austrian materials. 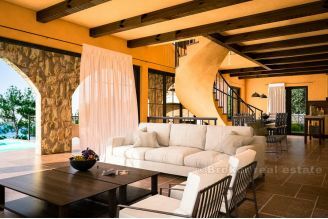 It has floor heating, latest generation of heating pump, art BUS lighting and heating control system, internet and wireless, alarm system, interior and exterior cameras controlled by internet, LED lighting, real wood windows and walk-in showers, and an open fireplace. 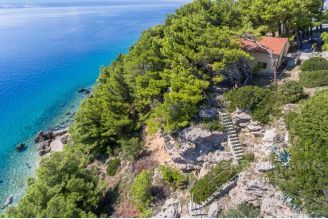 Villa is located 10km from Rogoznica, and 30km from airport of Split. 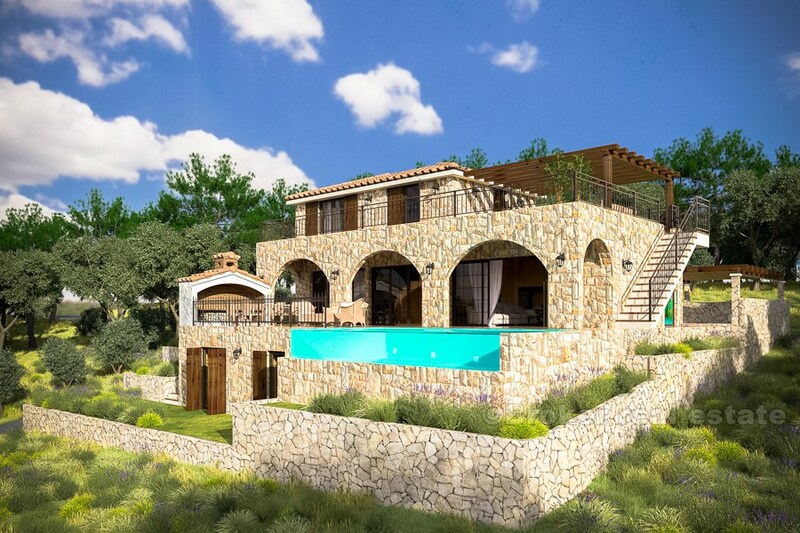 Villa is planned to be finished until Summer 2018.